Interested in learning about CRM or use your CRM software with greater efficiency? 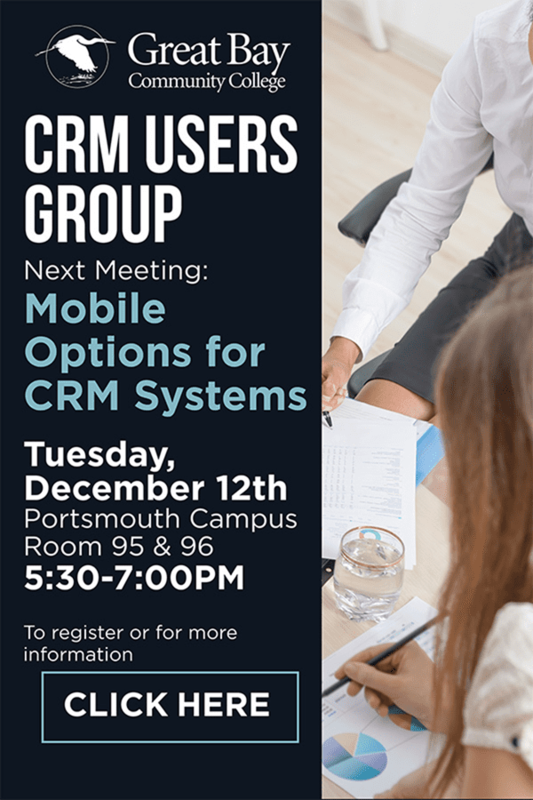 Join Great Bay Community College’s monthly CRM Users Group at their Portsmouth campus. Not only is it informative but it’s a great opportunity for networking and sharing share ideas and best practices. All are welcome to attend. In this session, we will show you how to mobilize your sales, field service technicians, and other professionals, who require constant access to their Dynamics 365 or Salesforce data, both in the office and on the go. Learn about the functionality offered in Microsoft mobile client, Salesforce mobile and Resco. Resco, founded in 1999, is one of the global leaders in developing cross-platform mobile software solutions. As COO for Resco, Ivan has been involved in various departments of the organization in engaging the overall operation to make for better business development for over 9 years. In his spare time, he enjoys tennis, running, and is a foodie who loves to cook.